Experience the peaceful environment of Redwood City. Twenty-five minutes from downtown San Francisco, this pleasant community lies on the Bay Area's West Peninsula, adjacent to Stanford University and Silicon Valley. Redwood City is home to the pine forest of Huddart Park, a mountainous preserve which offers visitors a relaxing and picturesque setting for hiking and picnicking. Walking down Redwood City's cobblestone Main Street, one is able to get a taste of San Francisco style, while actually being in a quaint and small town. Cafes, novelty shops, and fine restaurants coupled with beautiful natural surroundings are the elements of charming Redwood City that will truly enhance your stay here. 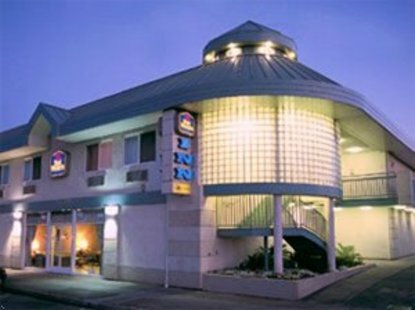 Your stay at the Best Western Inn is sure to be a memorable one in this picturesque setting.